called "Enjoy The Ride". 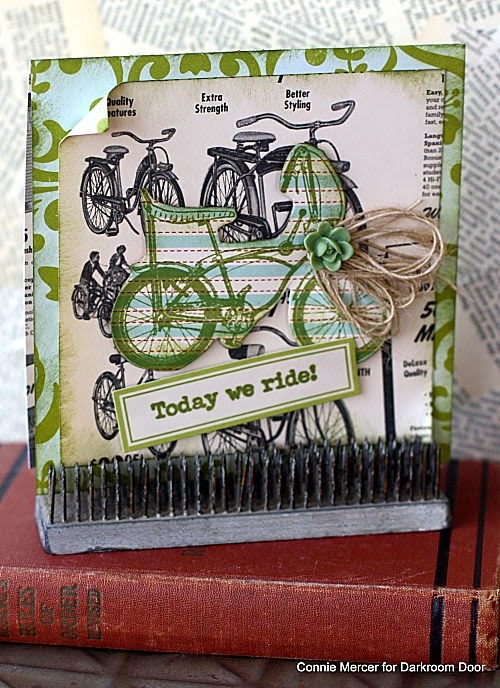 I love the bicycle images and the cool sentiments that go with the set. vintage trim. Love using up scraps of paper!!! The resin flowers are by Prima. The cards are about a 5"x5". The ink is Ranger/Wendy Vecchi. I had fun making these cards, but I'm ready to start scrapin' again! Check out all the new releases!! 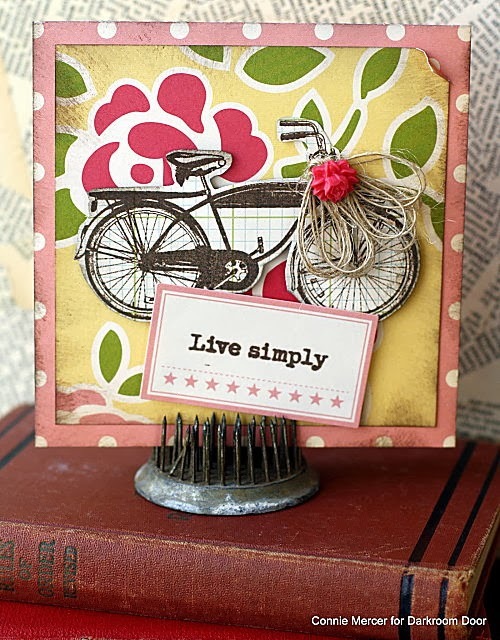 Totally adorable cards - what fun stamps! Ohhhhhhhhh these are gorgeous!! LOVING those bikes!!!! These are such awesome cards! I love how you stamped the images on patterns and then cut them out! Awesome! These are so sweet. Cute cards! love how you used this set.. these cards are awesome.. 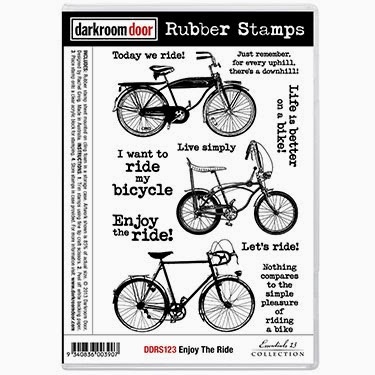 I love what you did with this set of stamps. These might be one of my favorite sets. I remember having a "banana seat" bicycle. 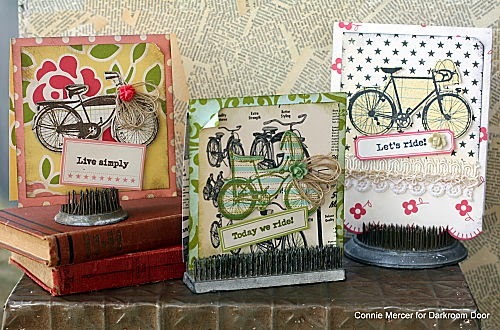 What fun cards, Connie! 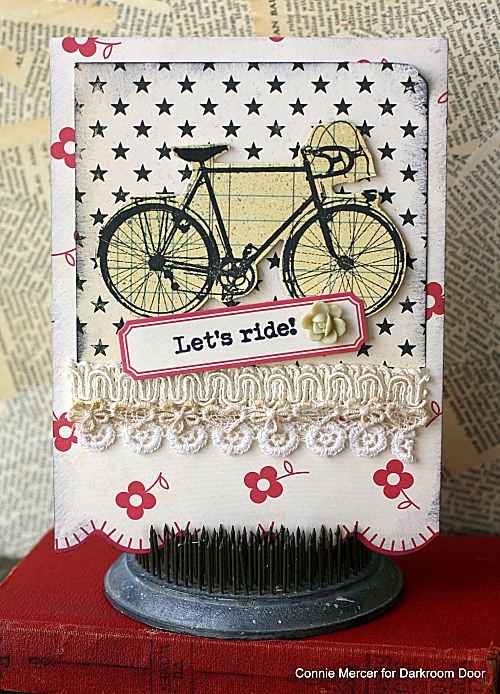 I am totally loving the bikes and all the great papers you used on your cards. Awesome cards!! Love the twine and those corners!